Efficient competition tyre which plays to its strengths at criterium and triathlon events. Neutral slick profile for direct road feel and super-fast acceleration. Good puncture protection thanks to SafetySystem anti puncture breaker belt. The SafetySystem Breaker is made up of Kevlar reinforced, high-strength nylon fabric. Puncture and cut-resistant but nevertheless light and flexible, the tyre adjusts quickly to the surface below. Without raising the weight or rolling resistance noticeably, it protects the carcass against foreign objects and contributes to a longer lifespan of the tyre. Tyres with the SafetySystem Breaker also provide good comfort properties. 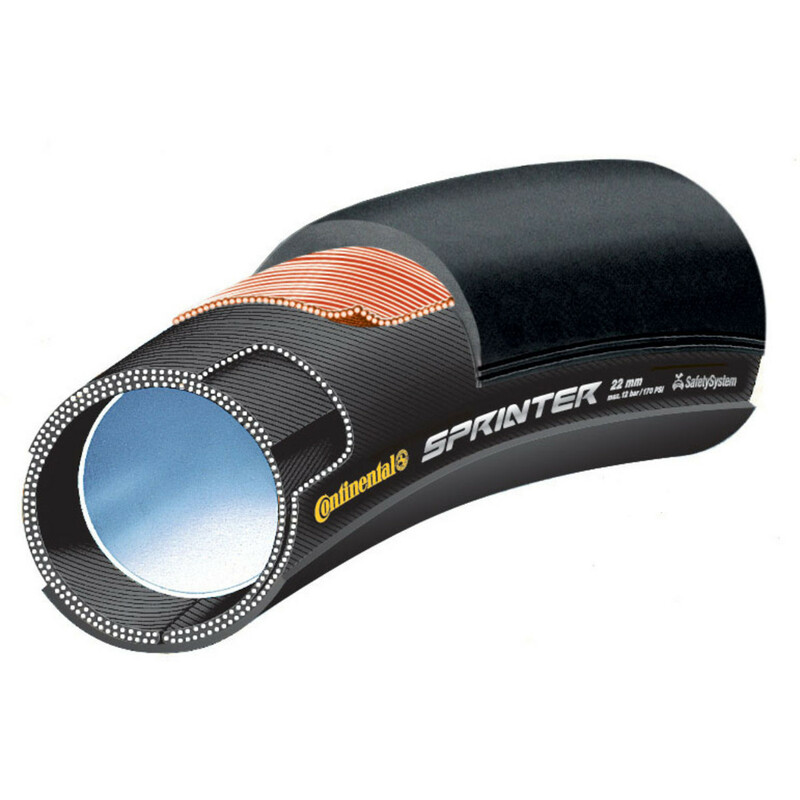 I think the sprinter is the best price/performance tire. So I always use this tire.